Almost every week I hear a story or receive an email about the MFE like the one I am sharing with you below. Just this morning, Pierce Science Coordinator Christie Chiappetta emailed to share the following science highlight. Last week, Pierce 8th grade students experienced a hair raising demonstration presented by their science teachers, Kristen Fraine, Jill Markarian and Dave Romeo. 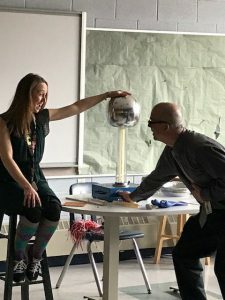 Thanks to the generosity of the Milton Foundation for Education, some of this year’s Monster Dash Funds were used to purchase a Van de Graff generator that will be used to enhance the Forces and Motion unit. 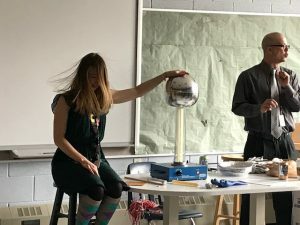 The teachers prepared and participated in a range of engaging demonstrations that allowed students to observe and deepen their understanding of electrical forces. Few are aware of just how broadly the MFE supports the Milton Public Schools. In every classroom in Milton you will find evidence of this support, from math manipulatives, terrariums and reading materials to technology, sewing machines and flexible seating. This list is endless and I encourage you to browse through almost two decades of teacher grants. The MFE is only able to provide these enhancements, as well as major upgrades to our schools, with your continued support. I hope you will consider joining the MFE on April 6th at Lombardos. Tickets are available now for the MFE Celebration “Beyond the Books” and can be purchased online. 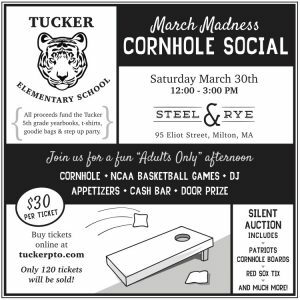 You will not want to miss this fun and entertaining evening with your friends and neighbors in support of our schools! 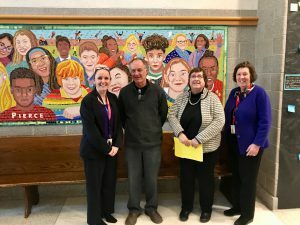 School Committee Member Ada Rosmarin shares the following about Milton’s District Strategic Plan that was approved by the Milton School Committee in June, 2018. The plan was developed, after several years of work, by the Strategic Planning Advisory Committee. This plan is a “living plan” in that the district uses the established goals and objectives to guide its work. The Strategic Planning Advisory Committee meets quarterly to review updates on all of the goals. In addition, at each quarterly meeting, recommendations for revisions to the plan are reviewed and approved. As a result, the Strategic Plan remains an up to date guide for district activity related to the district goals and objectives in the plan. Each quarterly update to the Strategic Plan will be made available on the Milton Public Schools website. The most recent update can be found here. We encourage you to follow the district’s progress in meeting its strategic goals. The next School Committee meeting is Wednesday April 1oth at 7pm at Milton High School. Information on previous meetings can be found here and all meetings can be watched live or on demand on Milton Access TV. On Tuesday, April 2nd at 6:30pm in the Pierce Auditorium, MPS parent and pediatric nurse practitioner/nursing director specializing in transplant, Laura O’Melia will be joined by others in our community to share stories and information around organ donation. 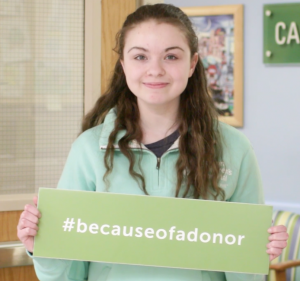 April is National Donate Life Month and The Milton Public Schools is proud to partner with Laura and others to bring this information to our community. Did You Know? Boston Children’s Hospital shared several videos with us. Please take a moment to learn about Bri, pictured at left, in this short video. Bri was a completely healthy teenage girl, until she was suddenly diagnosed with dilated cardiomyopathy and listed for a heart transplant. Now on the other side of transplant, Bri wants to help kids like her. #becauseofadonor, Bri is able to study to become a nurse. 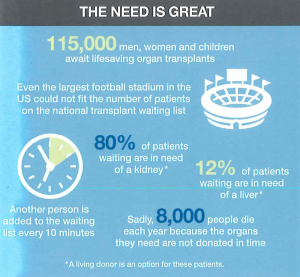 You can register to be a donor here. The evening will include speakers sharing their stories of either receiving or donating theirs or their loved one’s organs. Stories can be emotional. Youth are welcome to attend at the discretion of their parents. TONIGHT at MHS: Please join us tonight, Thursday, March 28th at 6:30pm at our Program of Studies/Advanced Placement Information Night. During this evening presentation we will review graduation requirements, course offerings and answer any questions you may have about our program of studies. The presentation will begin promptly at 6:30 pm in the MHS Auditorium. We are committed to taking comprehensive steps to ensure you have the information to make an informed decision about courses for next year. 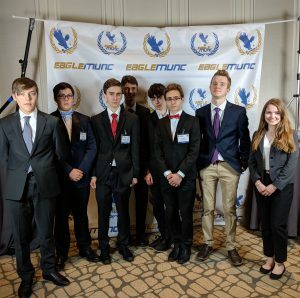 The Milton High School Model U.N. participated in the Boston College Model United Nations conference this past weekend held at the Westin Copley hotel in Boston. Over 750 high school students from around the world attended the conference and 8 members of the MHS club served as delegates in the historical political role-play of international cooperation. 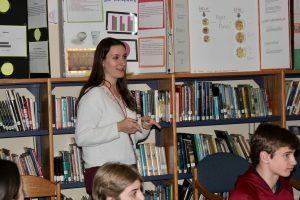 MHS studied and prepared to play roles in such varied situations as the ancient Roman Senate, the Flint Michigan water crisis, and the Republic of Hawaii. 9th grader Anderson Korman received recognition as “Best Delegate” for his preparation and performance as a representative of Benin in the African Union committee. 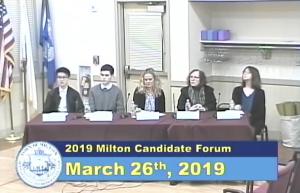 Matthew Sullivan and Philip Ng Pack of Milton High School’s Debate Club were part of a five member panel this week who interviewed candidates running for election in Milton. Debate organizers Becky Padera and Mike Lynch share that the students’ questions were excellent and it was evident that they had prepared very well for the candidates. Thank you to Milton Access TV for this opportunity for our students to engage in the election process. I encourage all Milton voters to watch the Candidate’s Forum on demand at MATV. Last night, I was honored to attend the official dedication of the Pierce Middle School Mosaic. 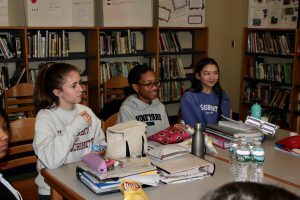 Some time ago Dr. Spaulding and the Diversity Committee began brainstorming ways in which they could create “a clear message” to all who entered the Pierce Middle School that Pierce is a welcoming, inclusive community. From that brainstorm came the idea to create a mosaic for the main lobby. Two years later, the Pierce mosaic is done! The artist, Josh Winer, partnered with the Pierce Diversity Committee and students, to bring their vision to life. Last night, it was exciting to officially present the completed mosaic to the Pierce community. Principal Spaulding, Artist Josh Winer, SC Member Betty White and Superintendent Gormley in front of the mosaic. 7th grader Donna Galvin shares how the mosaic was created by students. Thank you to some of our Pierce student tour guides. 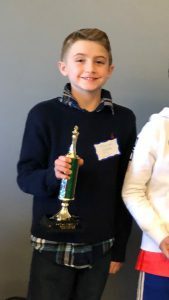 Congratulations to Nina Truog who won the 2019 Pierce Spelling Bee! 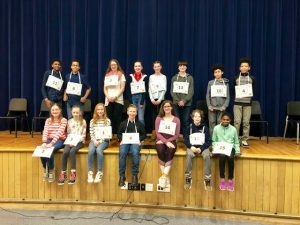 15 contestants from grades 6-8 competed in the school wide bee after winning class and team bees. The competition came down to our two 7th graders (Nina and Karim Camara) who wowed the audience with their spelling abilities. After 12 rounds, Nina emerged victorious. Congratulations to Nina, Karim and all the contestants. It was an impressive competition! Congratulations to Karim (L) and Nina (R)! Thank you to Town Administrator Mike Dennehy & Town Clerk Susan Galvin for speaking with some our 8th graders last week about the voting process & voter engagement. The exchange of ideas was terrific. 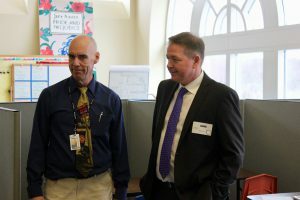 Students have been learning about voting and the importance of exercising your civic duty and this meeting with two of our town officials was an excellent complement to our student’s voting service learning project. March is Kindness Month at Cunningham. Over 5 weeks, students and staff reflected on 4 different areas of kindness: Kindness to self, kindness in the school community, kindness in the greater Milton community and tangible kindness (giving). 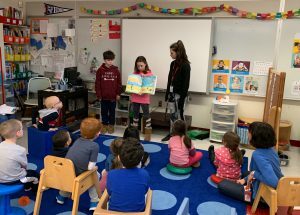 The month kicked off with 5th grade student council members visiting each classroom and reading “We’re All Wonders”, by R.J. Palacio and leading student discussions on empathy and kindness and what it looks like at the Cunningham School. 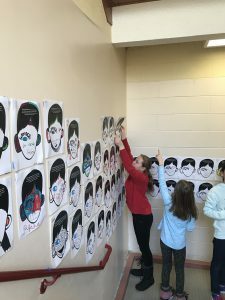 During Week 2, students focused on the practice of self-kindness by taking part in an activity which highlighted all the positive characteristics and attributes about themselves. This positive, bright student work lines the halls of Cunningham. Week 3 was devoted to spreading kindness by meeting students in different grades. 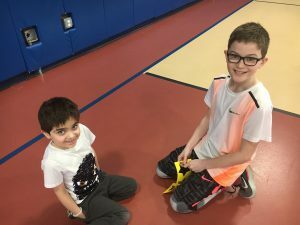 Classes were matched up and wrote “secret” messages to each other giving subtle hints about which class they were but not revealing themselves until they met each other in the gym. During Week 4 students wrote letters and postcards to family members, neighbors and community members who keep them safe in the community. 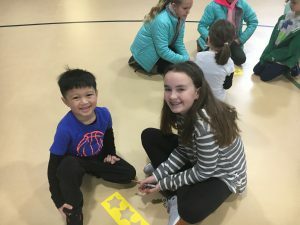 Week 5 was a culmination of kindness month as students have been collecting canned goods to be donated to the Milton Community Food Pantry and items for animals to be donated to the Milton Animal Shelter and the month will end with a school wide kindness assembly organized by our 5th grade student leaders. Throughout the month students had the opportunity to recognize their peers for acts of kindness by adding their name to a star in the Kindness Galaxy located in the main foyer. Each week random acts of kindness were called over the intercom and student stars morphed into an astronaut in the galaxy. 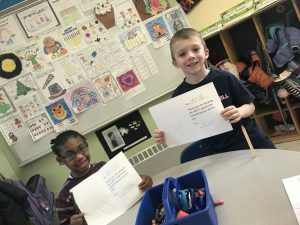 Writing kind notes, making new friends, sharing positive affirmations and reading to peers were all a part of Kindness Month. This year’s Boomwriter Bee did not disappoint! All 4th and 5th graders participated in a month long collaborative writing contest that culminated with the publishing a real book along with co-author Nick Bruel. 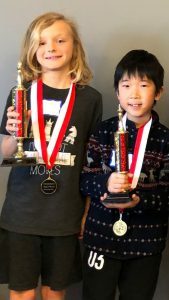 Congratulations are in order for all students, especially our chapter winners; Cunningham student Nathan Chan, Glover student Madison Sison and Tucker student Vincent Fahy. Their creative and well written chapters were chosen by their peers to become part of the final published book. 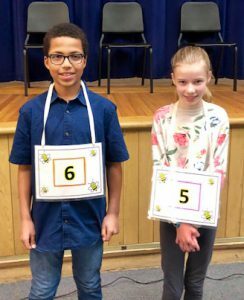 The next phase of the BoomWriter Bee will see the top vote getters from each four of our elementary schools qualifying for the International Bee Finals which will take place in June. 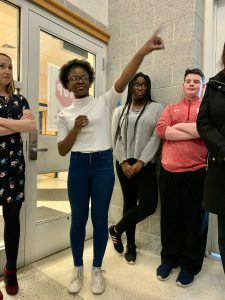 Last year, Collicot student Regan Vaughan brought home this title and a $2500 prize after winning out amongst writers from many schools within the United States and England. If you are interested in purchasing this year’s published BoomWriter Bee book; Uncle Conrad and the Egg (all grade 4 and 5 students names are in the book), please visit the BoomWriter Bookstore and enter the Purchase Code: SDIKY. 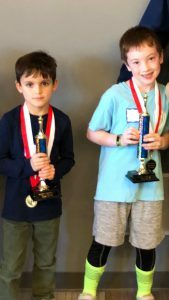 Congratulations to the thirty-five MPS students who participated on March 23rd in the Friends of Milton Public Library’s 8th Annual Chess-a-Palooza with tournament director International Master (IM) David Vigorito! A special congratulations to MPS Winners! Mr. Vigorito teaches chess at all 4 MPS Elementary schools as well as the MPS Summer Enrichment Program. For more information please visit Vigorito Chess. 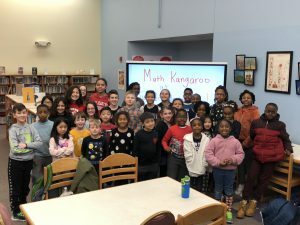 Last week, 34 Tucker students from grades 1-5 competed in an international math competition, Math Kangaroo! Math Kangaroo is a 75 minute one-time competition that was held in the Tucker library. Students worked diligently through 24- 30 challenging math world problems. Students who compete in the US are compared to other students who compete in the US and will receive their results on April 22nd. We are so proud of our smart and talented Math Kangaroo participants! The Girl Power Running Program begins Monday, April 22. Girl Power provides a low pressure, confidence and self esteem building activity that encourages girls to work towards a goal, push themselves at a healthy pace and comfort level while supporting one another and participating in an outdoor, good for your body and soul activity. This is a FREE parent run program and you can read further details her. Email Heather Bergin at smithbergin@msn.com with any questions. On Thursday, April 11th, Dr. Catherine Steiner-Adair and the The Big Disconnect: Protecting Family Relationships in the Digital Age. 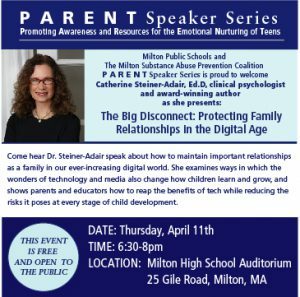 Internationally recognized clinical psychologist, school consultant and award winning author Dr. Catherine Steiner-Adair will be speaking about The Big Disconnect: Protecting Family Relationships in the Digital Age on Thursday April 11th at 6:30pm. Director of Instruction Technology shares this article in advance of Dr. Steiner-Adair’s presentation. SCREEN-FREE ZONES, HOW TO ENCOURAGE MORE FACE-TO-FACE TIME, gives practical, real world advice to families who are looking for ways to navigate screen time. Thank you to all who attended Jessica Lahey’s talk this week. The reviews have been overwhelmingly positive and we are thrilled so many of you were able to attend. We’ve heard from several parents who have signed up for Jessica’s email list and have already received valuable information, including the bibliography she shared this week. If you would like to sign up, please use this link. On Friday, March 29th, MHS will be celebrating “Spread the Word to End the Word” by supporting the elimination of the derogatory use of the “r-word” from everyday speech and promoting the acceptance and inclusion of people with intellectual disabilities. MHS students and staff – please support this movement by wearing tie-dye on Friday. If you don’t have any tie-dye and would like to purchase a MHS Best Buddies tie-dye t-shirt, they are for sale in room 307 for $10 while supplies last. Friday morning before school and during advisory students will also have the opportunity to make a pledge to end the use of the “r-word”. Members of Best Buddies will be at all entrances of the building Friday morning offering ribbons to those who have pledged. Please see this Spread The Word to End The Word video for more information. Tuesday April 2nd is World Autism Awareness Day! 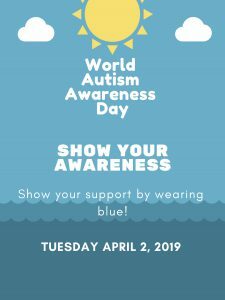 We will be “Lighting it Up Blue” for Autism Awareness at our schools and our student groups are asking their peers to wear blue on April 2nd. Students have decorated the halls to encourage students to show their support by wearing blue on the 2nd. Please show your support by wearing blue. We are all looking forward to celebrating “Light it up Blue” next Tuesday! TONIGHT: On Thursday March 28th, join Dr. Spaulding for 5th Grade Information Night at 6:30 pm at Pierce Middle School. We would like to invite you (students are welcome too!) 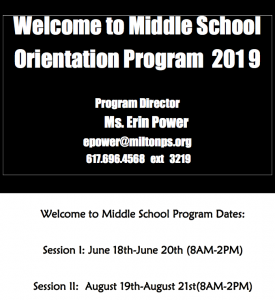 to come to the Pierce to learn all about the enriching learning opportunities your child will experience as a middle school student next year. Please email Pierce Principal Dr. Karen Spaulding if you have any questions. Director of Nutrition Services, Jackie Morgan, shares the following after attending the Legislative Action Conference for the School Nutrition Association. Many things are changing in the world of nutrition and the school nutrition program and my biggest takeaway is the USDA changes for whole grain, sodium, and milk. Regulations on these three commodities will become a bit looser as only half of students’ weekly grains will now be whole grain-rich, sodium will retain target 1 through 2023-24, and milk regulations will now allow flavored, low fat 1%. Our school districts will stay on target with the previous requirements because the menus are created and products are already bid for the school year, but they have the option to adjust to the new requirements immediately. There are a few items that have been hard to source in whole grain so this is the only time we will loosen these requirements. We will also continue to serve skim flavored milk and we will not be moving toward 1% flavored milk. Districts are turning to new foods and options like roasted instead of steamed vegetables and adding seafood snacks and popcorn. This trend has been a successful way to serve vegetables to our students and they seem to really enjoy them. There continues to be a big emphasis on farm to school from the USDA. Buying farm fresh local food has been a huge asset to our local farmers and our students. Milton School Food Service will continue to always source local and sustainable food whenever possible. You can continue reading more from Jackie Morgan here. This past Saturday eighty students from eastern Massachusetts came together to sing with the First Annual General Music Treble Chorus. The chorus was directed by Dr. Sandra Doneski (Gordon College), accompanied by pianist Valerie Stark, sponsored by the Massachusetts Music Educators Association, and hosted by the Dedham Middle School. These 4th, 5th and 6th grade singers, including 12 from Milton, learned about healthy singing, musicianship skills, expressing the story of a song, and building a community through singing. Students prepared for the festival with their school music teachers, representing ten different school districts in the Commonwealth. After only two group rehearsals, these young musicians performed music from a variety of choral genres and time periods. Their energy, expression, and joy filled the concert hall, a treat for all music lovers. Congratulations to our students who were performed beautifully on Saturday. Members of the Milton High School Orchestra, Chamber Ensemble and Cello Ensemble presented “Music In The Afternoon”, a Concert for Senior Citizens this week in an effort to share the joy of music with members of the Milton community. The performance was directed by Debra Miller, MPS District Orchestra Director. The spring season at MHS is kicking off! The game schedules can be found on our new MHS Athletics website! drive on Saturday, April 6th from 9am-12pm at MHS, To arrange pick up of a can/bottle donation at your home, please email the team. The MHS Baseball Team will be hosting a car wash fundraiser on Saturday, April 6th from 9am-12pm at the Cunningham School. On Saturday, March 30, 1-3pm, at the Milton Art Center, we have a thoughtful, caring group of local experts and wellness instructors presenting tools and tips for self-care. If you have been considering how you can better handle everyday stress and anxiety, been wondering how meditation can benefit you, thinking about how to maintain balance and flexibility in the upcoming years, come meet, listen, talk to and experience a small session of each teacher/lecturer’s expertise. 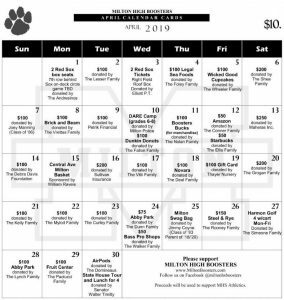 There is a $10 registration fee but you will get to choose a class pass ticket, value of $10-$17, to any class that you would like to try out. Herbal tea and healthy snacks will be available! This is a friendly, low key exploration of ways to improve your thinking and approach to daily life. Mad Hatter Tea at the Forbes House Museum! Grab a hat, grab a friend and come to the Forbes House Museum for a delightfully lighthearted tea party. Featuring a selection of tea, sandwiches, scones and sweets, music by local ukulele group the Choco-leles, a raffle and prizes for best hats Sunday, April 7, 2019. Two seatings: 1:00 and 1:30 pm. Tickets are $40/person, $35/member and must be purchased in advance. MSAPC’s next Coalition meeting is on Tuesday, April 23rd, 6:30pm at the Milton Public Library. At this meeting, we are featuring a panel of fellow Milton leaders who will each speak briefly about their organization’s response, over the past few years, to the findings of the Coalition’s Community Assessment from 2016. The panel members include representatives from Milton Hospital, Milton Health Department, Milton Police Department, Milton Public Schools and the Youth Task Force. A question and answer period will follow. This is an excellent opportunity for the community to learn about important changes that have been made in response to the findings of our last Community Health Assessment, as well as challenges that we are facing in the coming years. If you have any questions, please reach out to Project Coordinator, Margaret Carels. 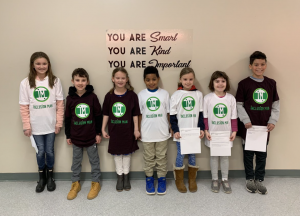 Students: I would like to recognize Glover students Molly Sutphin, Patrick O’Leary, Elle Ryan, Nicholas DeBarros, Lexi Donovan, Zoe Rodriguez and Lucas Ilzarbe who were nominated by teachers as “Glover Kids who always embody empathy and compassion”. Each student received an “Inclusion Man” T-Shirt as recognition of these students as inclusion superstars. 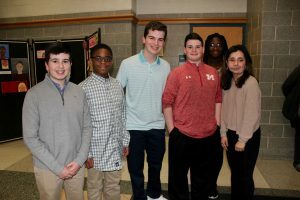 Inclusion Man is the brainchild of 9th grader Josh Ricciardi’ who’s “Inclusion Man” stood out as a powerful story about inclusion. In middle school, Josh wrote “Have you ever been asked if you could have any superpower? If so, what was your answer? Mostly, people say super speed, super strength, or even the ability to fly. But a lot less popular ability is the ability to include someone. So if you don’t have this ability, then Inclusion Man will come and help you gain such an ability”. Former Glover student Josh has inspired all of our Glover Kids to become “Inclusion Man” as you can see below from what their teachers shared about them. The full text of the teachers comments can be read here. Thank you to my blog contributors this week: Cat DesRoche, Ryan Madden, Jaclyn Germano, Christie Chiappetta, Ada Rosmarin, Karen Spaulding, Becky Padera, Jim Bowes, Amy Gale, Jackie Morgan, Melissa Craven, AJ Melanson, Noel Vigue, Maureen Butler, Jon Redden, Amy Gale, Laura O’Melia and Barbara Wright.